Not a day goes by where I don't think about the remarkable time spent under your tutelage with my dad in Tryon. 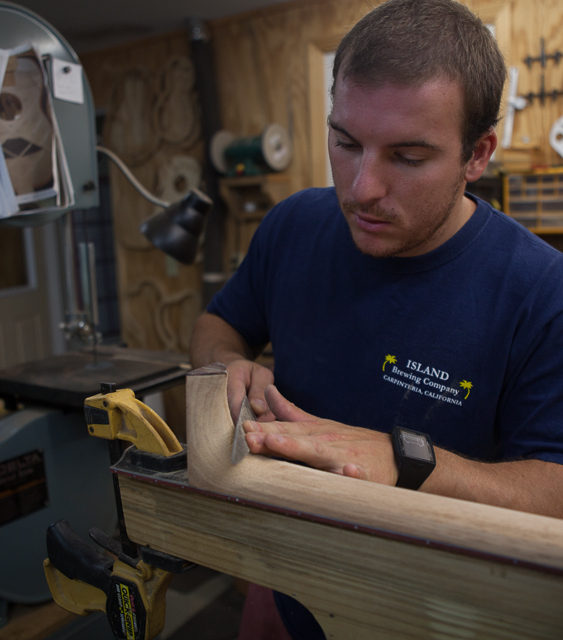 When booking the trip, my hope was that I would learn a few things about wood working, spend some nice time with my dad, and end up with an adequate instrument that would a nice souvenir of the trip. How I underestimated the overall impact those 10 days would have affected me. I can honestly say it was the most transformative, and personal journes I've done for myself. The impact on both my father and me has been profound. I could ramble on with specifics, but I would run the risk of boring you or being too specific that I would miss many of the generalities. The experience raised my awareness of conscious caring, patience, respect, trust, risk taking, and so much more. Not to mention I ended up with two unbelievably beautiful instruments that are coveted by every musician I share them with. (So happy I bought the Small Jumbo as well as made my Kiku). It is an honest statement when I say I think of you and that week every day and am incredibly grateful for the kismet that made it happen. Thank you for your hospitality, for sharing your knowledge and craft, and for shepherding us on this incredible journey. I can't express enough how much I appreciate your generosity in opening the doors of your shop to students in general and to me in particular. Your selflessness in sharing both your time and your knowledge will ultimately help to ensure the craft will continue. I learned quite a bit in the short tine I was there. I have already started incorporating some of the lessons and techniques in my current build. So happy with the uke I made in your shop down in Tryon. Played all afternoon - has a voice of its own and is very agreeable. 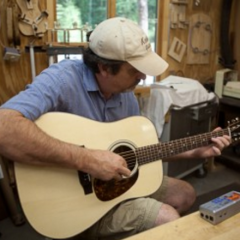 The baritone body with 19" scale and C tuning has enough string tension to allow for tonal variety and great sustain. I again have an instrument that allows me plenty of space to improve as a player. Thanks Jay for the steady guidance. Thanks also for keeping it real. Philosophy is something we could all use these days. I love great guitars. 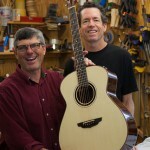 I knew very little about Lichty Guitars before my arrival. 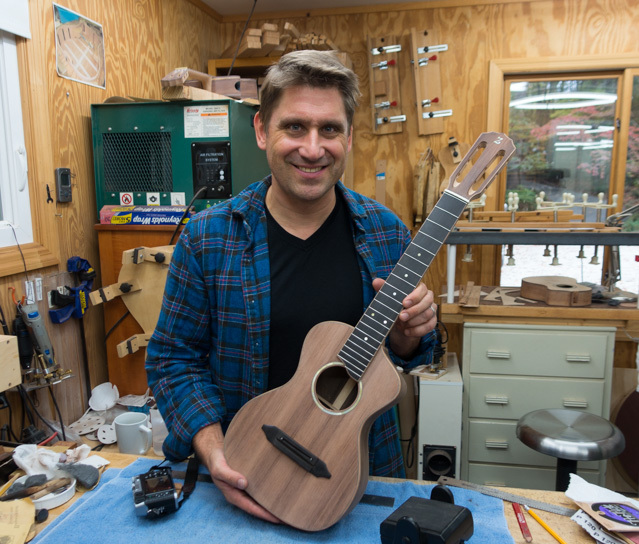 I’ve always wanted to build a guitar and was excited for the opportunity to work one-on-one with a master luthier. The great thing about Jay and Corrie is the “wholeness” of the experience. They walk you through all the phases and document each day with progress pictures that Corrie posts to the website so that family and friends can follow along. Day one we played many of Jay’s instruments and determined size, shape, feel and bracing type. 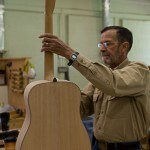 This was the foundation to successfully building the guitar of my dreams. 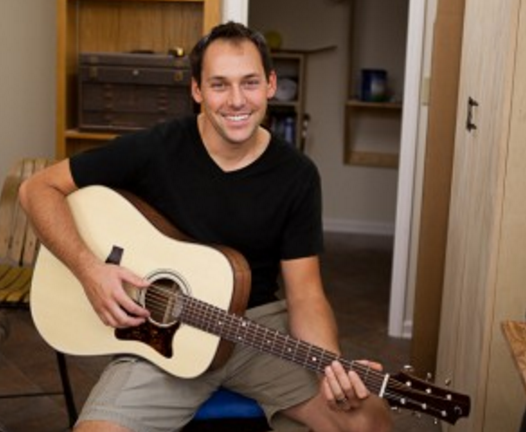 Jay has the perfect blend of craftsmanship, patience and humor that makes him an outstanding teacher. 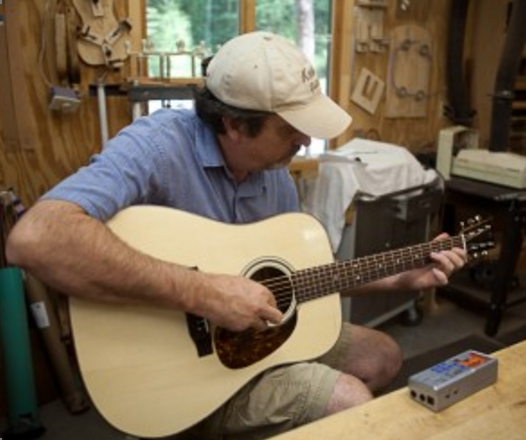 His workshop is in the woods, the perfect place to relax, focus and build. I learned so much and loved every minute if the experience. It was challenging and extremely rewarding. I felt like a kid hanging our with my big brother … working and laughing all day. 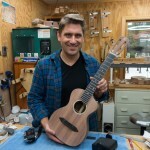 The time flew by and in the end I have a new custom guitar, new friends and a new respect for the art of the luthiers. Did I mention I LOVE GUITARS !!! 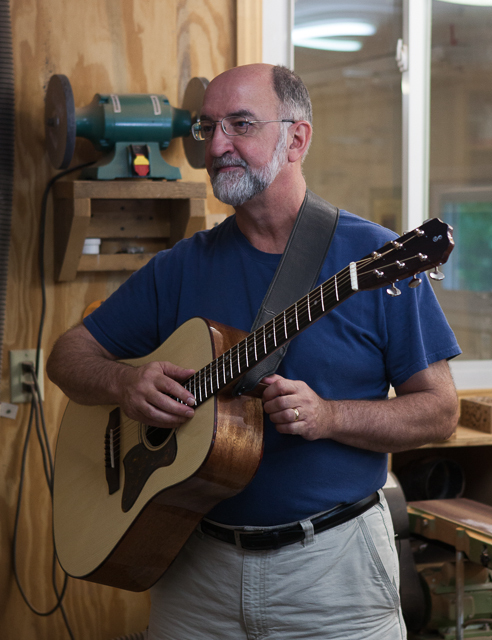 So, if you love great guitars and great experiences I highly recommend you treat yourself (or someone you love) to a Lichty workshop. 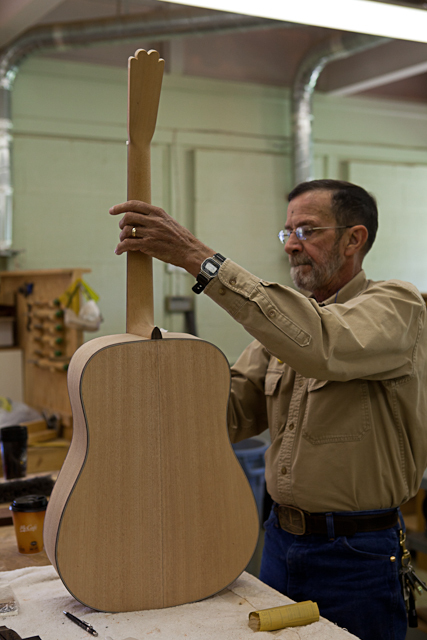 The guitar (or ukulele) you build is the icing on the cake. I love great guitars. 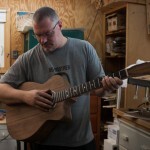 I knew very little about Lichty Guitars before my arrival. 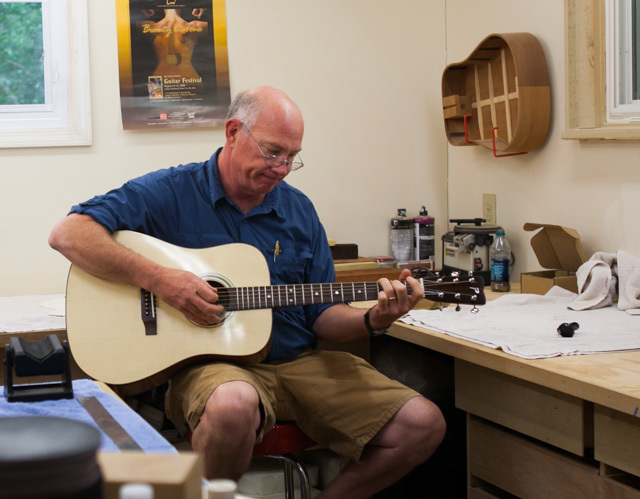 I’ve always wanted to build a guitar and was excited for the opportunity to work one-on-one with a master luthier. The great thing about Jay and Corrie is the “wholeness” of the experience. They walk you through all the phases and document each day with progress pictures that Corrie posts to the website so that family and friends can follow along. Did I mention I LOVE GUITARS !!! 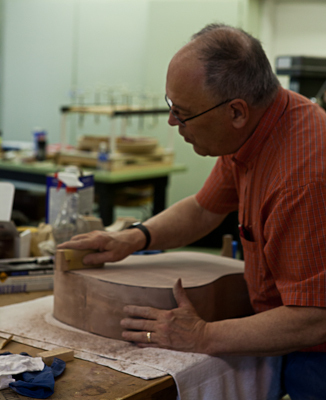 So, if you love great guitars and great experiences I highly recommend you treat yourself (or someone you love) to a Lichty workshop. 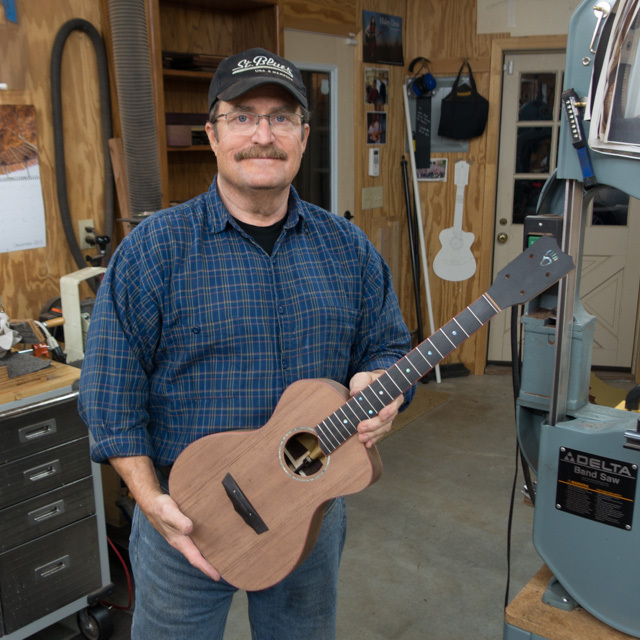 The guitar (or ukulele) you build is the icing on the cake. 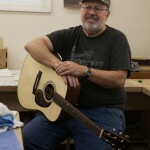 I spent my vacation this year building a guitar with Jay on a one-on-one instructional basis, and the experience was fantastic. Jay and Corrie go out of the way to accommodate Jay’s students in every way they can. Since I live just 30 miles away, and work a demanding job, Jay was quite flexible with his schedule. The finished product was everything I could have asked for. 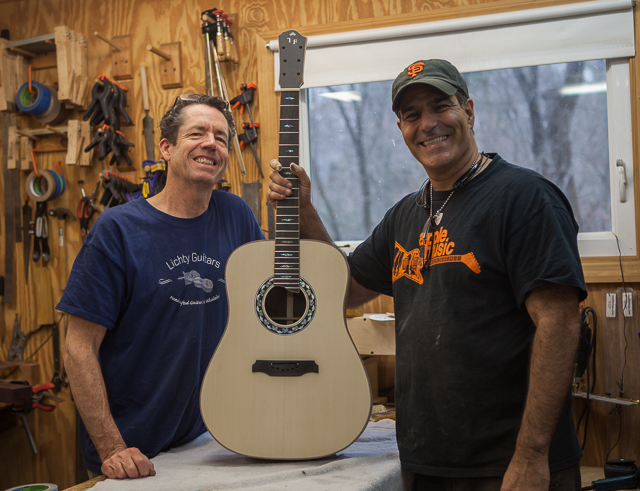 Jay helped me along the way to make decisions that customized the guitar to suit my personal needs and desires. And did I mention how patient he is? Jay built about four instruments in the time I built one, yet he treated me as though his entire focus was on me. His attention to detail is unmatched. His instructional method is tailored to the student…he gave me all the rope I needed but never let me hang myself. 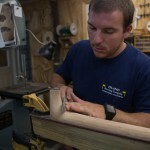 Corrie documented the entire build and posted on their website so my family and friends could also follow along. 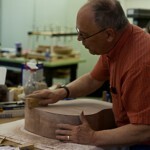 Any blossoming luthier would benefit greatly from the experience and I highly recommend his class. WOW! The finish is absolutely beautiful. I just held it in the light going over every inch of it. 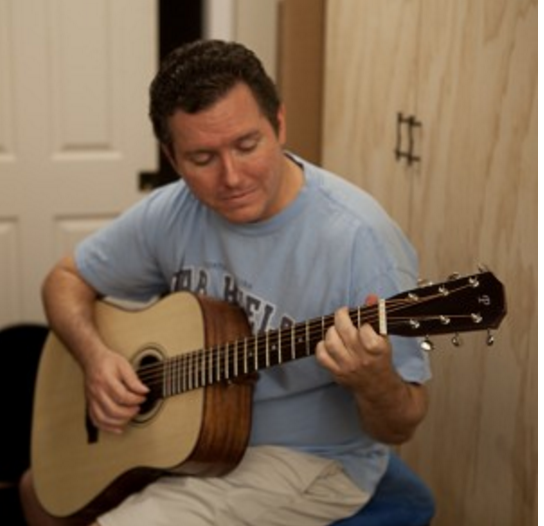 Then I put it on my lap and strummed a big open G and was stunned by the depth of resonance and tone. 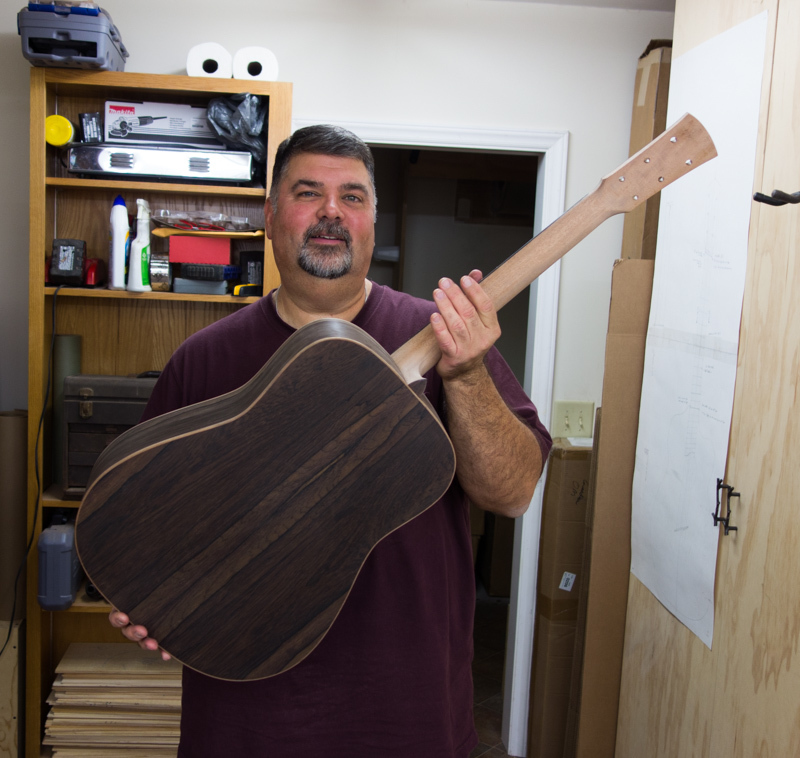 And for a big guitar it is light and responsive. I am blown away! Jay & Corrie, this has been an incredible experience and I cannot say thank you enough. I wish you both continued success in the building of your business. It is amazing what y’all have accomplished so fast. You are an inspiration! This experience was one of the most rewarding I’ve been through. The quality of the entire experience, from the actual building to the interaction with new friends, was beyond my expectations. A bargain at twice the price! 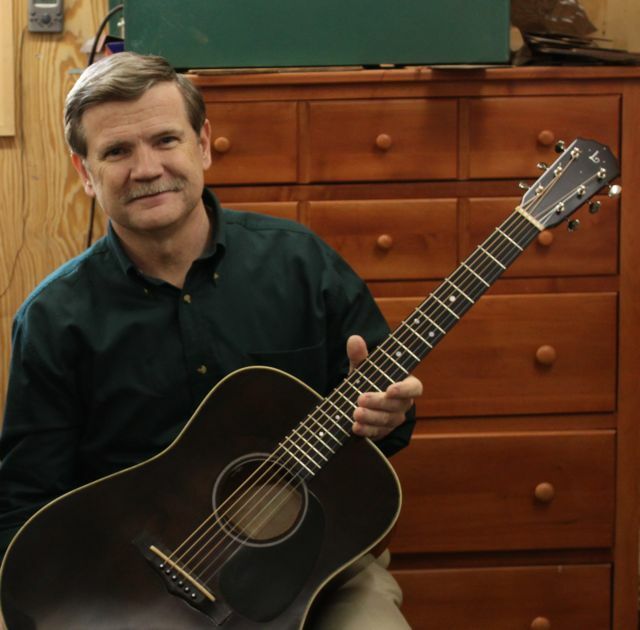 Do you want to buy my Taylor - Ted Pope's first response after playing his guitar for the first time. First and foremost, Jay and Corrie are goo people; very hospitable, thoughtful, good-humored and caring. Secondly, Jay is an artist and craftsman. His vision for his interments is extraordinary and he seems to flawlessly execute his vision. Finally, in the workshop, he allowed me to experience this. 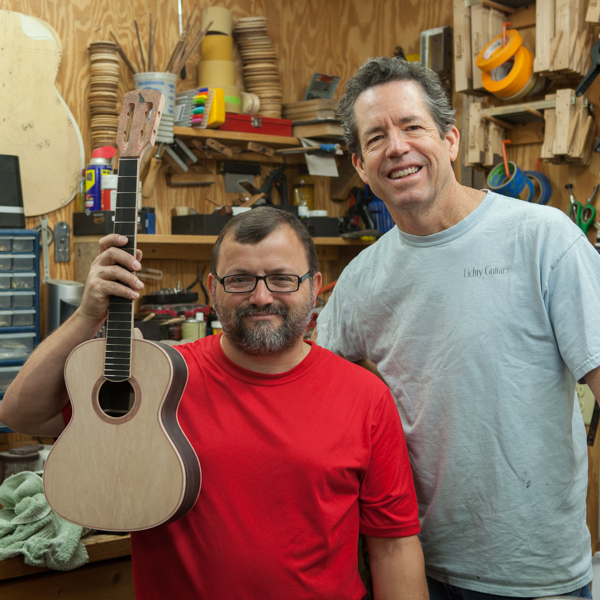 His instruction and demonstrating are very effective in conveying technique, enabling me to produce a beautiful instrument I will cherish for a lifetime. I'm on a quest to learn as much as I can about instrument building, from as many masters as I can find willing to teach me. No matter where I've been and go, Jay's teachings stay with me. At his workshop I learned to trust my hands and to collect a sensory library of information. His way of building is so elegant and joyful it's hard to think of it as work, but it is. Jay's work ethic is as good as it gets. Thanks to his guidance I am confident I can make my own . I can make them in a way that is safe, doesn't strain my joints and insn't limited to the number of specialized tools and jigs I can afford to buy or house. That gift, as those on my same path know or will eventually realize is rare. I'm lucky to has Jay as my first - and now ongoing! teacher. I highly recommend this workshop. 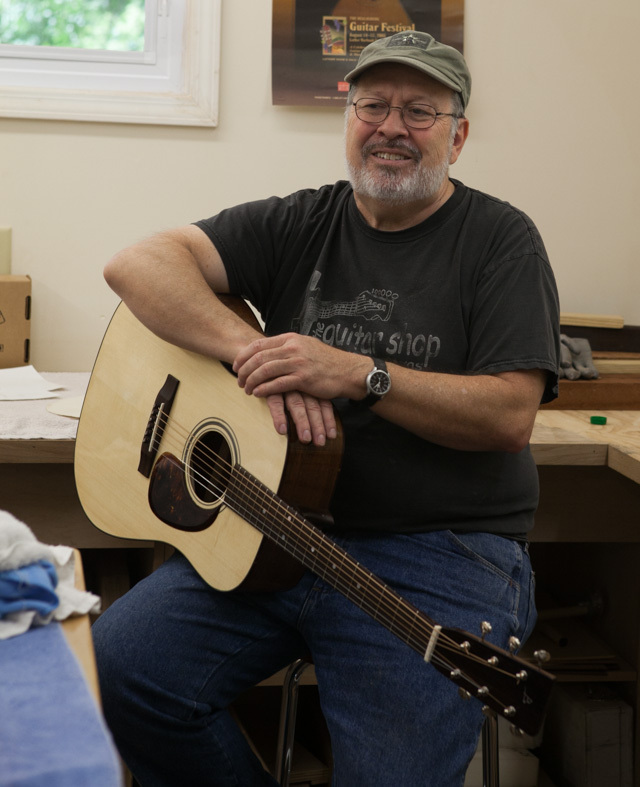 Jay is such a good-natured guy that he makes the workshop very enjoyable. 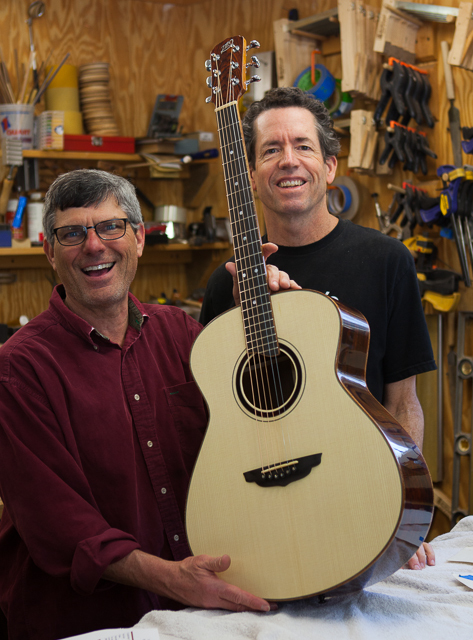 I was amazed with the quality of the guitar we were able to take home. 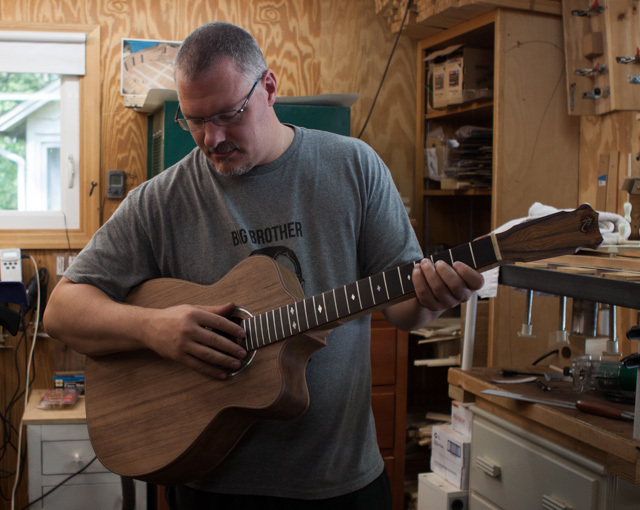 I've been dreaming about making my own guitar for 28 years, since I was 14. This week was all I could have wanted after all those years of dreaming. It's hard to believe we did the work ourselves and the guitars have come out this finished and incredible sounding. 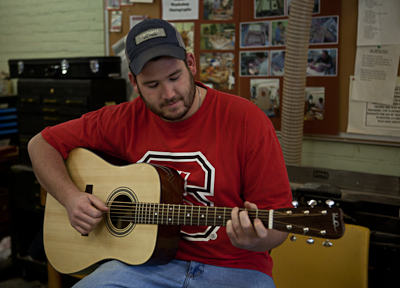 Jay makes a fine guitar and a great teacher of his craft. 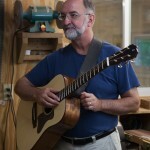 I had previously built 6 guitars on my own and my techniques and knowledge have now been greatly expanded. 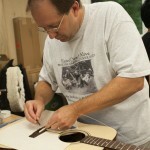 I learned all of the necessary information on how to build a nice guitar! 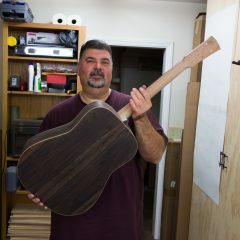 I gained a lot of confidence in guitar building and learned some great techniques and tricks of the trade. 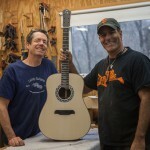 All of the guitars turned out beautifully. Thank you Jay! This was such a rewarding experience. I have never created such a thing of beauty other than my three children. This workshop was the best money I've spent in a long time. 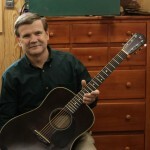 I've received tons of knowledge from an experienced luthirr and built a beautiful guitar as a bonus. 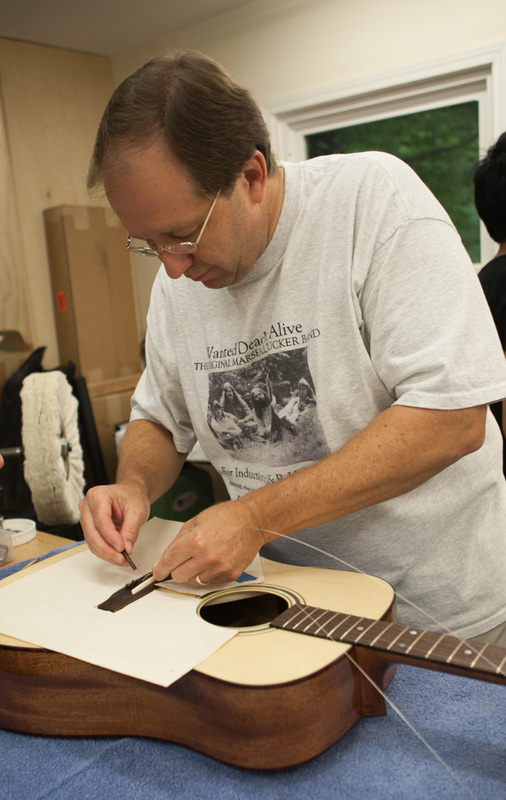 The class was very relaxed and covered every aspect of acoustic guitar building. 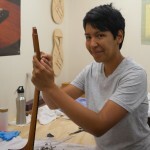 I want to thank Jay for his help throughout and fro offering such a worthwhile class. Fun, Hardwork, Fun! and you take home knowledge and a fine custom guitar. 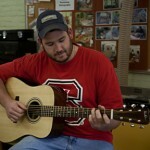 Jay is a patient teacher and very talented. He does not cut any corners. 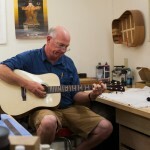 Jay Lichty’s flattop guitar building class was a fabulous experience. 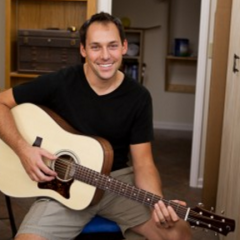 He encourages freedom in creativity and shares his knowledge openly with his students. 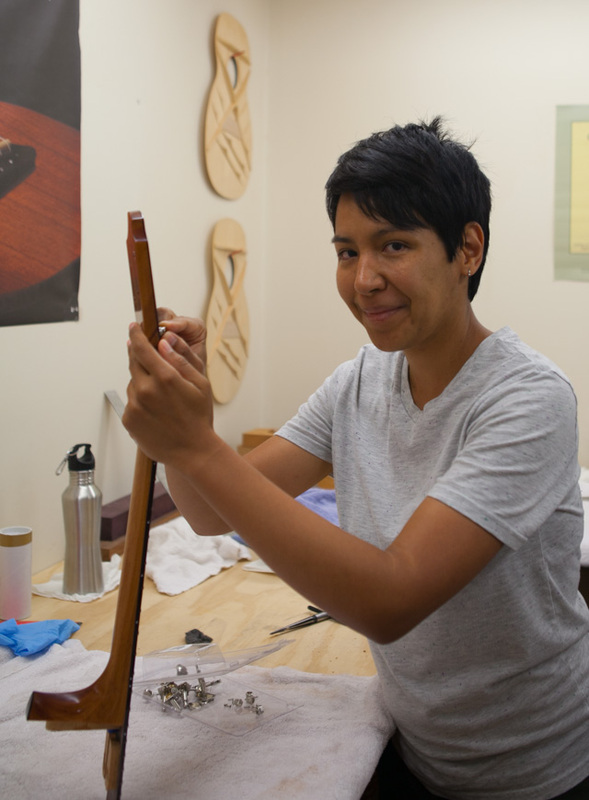 I can truly say this class was a blessing and I recommend it to anyone who wants to expand their knowledge in guitar making.